Recently, I had the opportunity to spend some time in conversation with the author of SitzImLeben.com, Brandon Wason. Brandon will begin is PhD work at Emory this fall and is highly intersted in Christian origins and New Testament studies. Take a few minutes and drop-in on our conversation; I'm sure you will enjoy it, just as I did. When you're done, be sure to visit Brandon's blog. Michael: Brandon, thanks for agreeing to chat with me for a few minutes, I anticipate that this will be quite fun. I was wondering if, to begin, you could set the context for the rest of the conversation by sharing some of your personal background? Brandon: Thank you, Michael. I appreciate the experience! Well, I'm originally from California and have spent most of my time there. I was not into academics very much during high school, mostly just skateboarding and basketball, but after graduating high school I started becoming more involved in church and started reading more books on the bible and related subjects in order to teach small groups, etc. Actually studying books on the bible really intrigued me and I started reading more technical books and decided that I should go to college and major in bible or theology. I ended up majoring in classics after reading F. F. Bruce's autobiography and that is sort of the very short version of how I became interested in academics. Michael: For those who haven’t read Bruce’s autobiography or may not know exactly who he is, could you say a little bit about it and why you think it influenced you in the way that it did? Brandon: F. F. Bruce (1910-1990) was a leading evangelical, biblical scholar. Since I participated in an evangelical church, his writings were well known to me. He's written a ton of commentaries on the New Testament and various books about the nature of the NT writings, its history and its theology. But what made him so popular, I think, is that he was very accessible to people just getting their feet wet in this field of study, like me. I rated his opinion very highly and so when he talked about his experience as a "classics" scholar, that made me consider majoring in it for myself. Of course, I had to make up for the lack of studying Judaism and theology when I came to seminary. Still, his book was very formative for me, in fact, you can read my thoughts about it here: 5 Influential Books. Michael: I find it quite intriguing that it was someone’s autobiography that pointed you in the direction of what sort of school to attend in your pursuit of biblical academics. It seems clear to me (and others perhaps) that academic texts are still a major influence in your life. To see this, one needs look no further than your blog actually, which brims with information on books. So, can you say a little bit about your blog and why you started it? 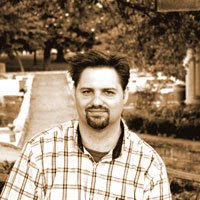 Brandon: I had originally started a blog back in the summer 2005 called Novum Testamentum Blog. It was just me at the beginning, but some time later I opened it up to other authors. I enjoyed the blog immensely and it opened up many avenues of discussion and fostered many friendships. But as things became more and more busy as at seminary, it became increasingly difficult to maintain and eventually, it suffered a slow death. Nevertheless, I continued to follow many biblioblogs and continued to do the biblioblogs.com website with Jim West and John Hobbins. It had always been my intention to get back to blogging and so, I finally did this summer and already, I've found it very worthwhile. Since reading academic books is such a large part of my life now, it naturally becomes a focus of the site. Still, I hope that it remains only one aspect of the blog because if it were just about books, well I imagine that it will become quite boring. Michael: The name of your new site is Sitz im Leben, is there a story behind that title? Brandon: Broadly speaking, the German phrase Sitz im Leben refers to original context of a situation. It's a term that is widely used in biblical studies and it loosely describes what my blog is about: getting back to the first-century origins of Christianity. To be sure, it's not that my posts focus heavily on form criticism—they do not, though I do talk about those things here and there—but really I was just surprised that the domain name sitzimleben.com was still available. Michael: Speaking of life settings and origins, so far, you have shared a few things about the origins of the faith & academic spheres of your life. What are your ultimate academic endeavors and where do you hope all this study leads? Brandon: Originally I became interested in this field because I thought it would be wonderful to teach the bible, but I soon also became very interested in the research side of things as well. Because, ideally, I'd like to teach in a seminary environment in the future (although, I wouldn't mind teaching at a secular institution either), I decided to attend Candler School of Theology at Emory University. I am very grateful that I will be able to stay at Emory and finish my doctoral studies here as well. Without a doubt, I think that it is a great school for the academic side of New Testament studies, but also one that has a mind toward the church. So, when I will be finished in about five years, the plan is to be able to teach this material at a school that is a healthy environment for both teaching and research. As far as specifics, that's just too hard to know at this point. Michael: Following up on your comments, let me ask: What advice would you give to budding scholars or those who have a desire to teach in biblical higher education some day? Michael: A moment ago, you mentioned “specifics” about your future as a teacher being a little uncertain. Would it be appropriate to ask if you have any specific “research topics” that you are considering doing dissertation work on or is that a subject that is still being mulled over? Brandon: I recently wrote my MTS thesis on the Eucharist in the Didache and I continue to be very fascinated by that document. I may or may not do more work on the Didache during my graduate career but I do plan to write more on it in the future. One of my main areas of interest has been Luke-Acts and Emory is one of the best places to study this. I've already taken a few courses on Luke-Acts during my master's degree but I plan on doing more work in this area. I have a few ideas on the table for dissertation topics but I haven't decided on anything concrete yet, or who my advisors will be. I think they give a little bit of time to figure those things out while in the program. So we'll see. Michael: Your fascination with the Didache piques my own interest. Can you say a little more for my readers about what the Didache is and why you have such an interest in it? Brandon: Thanks for asking. Actually, I'm going to be starting a short blog series on the Didache. Basically, the Didache (or, the Teaching of the Twelve Apostles) was an early Christian church handbook. It probably dates to around 100 C.E. or earlier and reflects some segments of the early church that we do not find in the New Testament. Nevertheless, it has a very "biblical" feel to it. The first major section is an adaptation of a Jewish “Two Ways” tractate (also included at the end of the Epistle of Barnabas), which describes the way of life and the way of death. The Didache further talks about early Christian rituals such as fasting, prayer, baptism, church leadership and the Eucharist. Given all of this, one can easily see how this document is important. Michael: Moving from the Didache to biblical scholarship in general, what would you say are the two most important discussions happening among biblical scholars today? Brandon: Michael, that's a good question but a difficult one to answer. First, I would say that the role of the "theological" interpretation of scripture within the academy is fairly important since it seems that the academy and the church’s use of scripture have two separate, although, equally important agendas. This isn't a discussion that I've been involved in much myself but I am curious how this discussion will pan out and what ultimate role the "theological" approach will play in our field. Second, I would probably say that rhetorical criticism is an important discussion currently taking place. It seems like a lot of people are taking a stab at it but there aren't many set rules for doing rhetorical criticism, so, it often ends up looking a little like the Wild West. I think those participating in the Rhetoric of Religious Antiquity group at SBL are making some good progress but, again, the field is still very open-ended. Michael: I know you said you weren't up to snuff on all the conversations taking place regarding the theological interpretation of scripture, but do you think you have any significant contributions to make to the dialogues surrounding rhetorical criticism? If so, would you mind sharing one or two? Brandon: Like I said, there are a number of different ways of looking at a text through rhetorical criticism. Betz and Kennedy have paved much of the way but personally, I find the use of judicial, epideictic and deliberative species of rhetoric more applicable to the Greek citystate than the early Christian situation. Paul, after all, was probably not a trained rhetorician. I took a directed studies course on rhetorical criticism with Vernon Robbins and I like his approach of utilizing earlier Jewish discourse to inform the discussion of the six different types of Christian rhetorical dialects: prophetic, priestly, miracle, apocalyptic, pre-creation, and wisdom. So, I generally try to think in terms of those categories. Of course, that leaves the question open of how to utilize other forms of Greco-Roman rhetoric such as the progymnasmata, which I think are important, but still, I think we need to do more work in the field to know exactly how they relate to NT discourse. Michael: Thanks for those insights; I think you make some great points there, points we could surely talk about for a while! However, we’ll start to bring this to a close now. Let me just inquire about one more thing, it’s a question that I ask everyone I interview: If you could own just one book (along with the Bible), what would it be and why? Brandon: Another good, but difficult question, Michael. Recently it was asked on my blog which “one book” I would choose on the Historical Jesus and my answer was Schweitzer's Quest of the Historical Jesus but that certainly wouldn't be my answer here. Instead, I might choose an edition of the Apostolic Fathers because that, in addition to the Bible, has been influential on my thinking about the early Church and is often a good source of devotion. Otherwise I might choose BDAG so I can read my Greek new testament better. But I can't imagine being in such a situation and I certainly hope it never arises. Michael: Great answer! Brandon, thanks again for taking the time to interview. I enjoyed the conversation immensely and hope that those reading got to know you a little better, just as I did! Brandon: Thanks Michael, it's been fun chatting and I always enjoy the conversations we have. All the best! Again, if you get the chance, head over to Brandon's site and check out some of his work. You can go there directly by clicking the following link: SitzImLeben.com.